Ingredients: Aqua (Hungarian Thermal Water), Kaolin, Glycerin, Cetearyl Alcohol, Silt (Hungarian Mud), Stearic Acid, Cetearyl Olivate, Zinc Oxide, Phenoxyethanol, Sorbitan Olivate, Mannitol, Malpighia Punicifolia (Acerola) Fruit Extract, Saccharomyces (Hungarian Thermal Water) Ferment Extract, Tocopherol, Ethylhexylglycerin, Sodium Hydroxide, Parfum (Fragrance), Yeast Extract, Phospholipids, Linalool, Limonene, Citronellol, Geraniol. Tired of congested pores and dull skin? 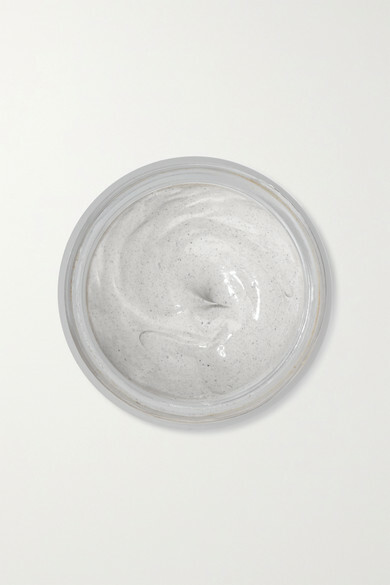 Omorovicza's deep cleansing mask is your perfect solution. This treatment deeply cleanses with nourishing Hungarian Moor Mud, rich in calcium and magnesium, while White Clay draws out impurities and absorbs excess oil.